Bats are some of Canada’s unsung heroes, eating hundreds of mosquitoes and moths each night. 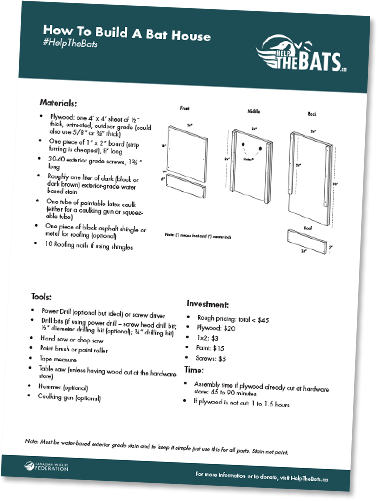 This handout explains why bats are important, dispels myths and provides tips on how you can invite bats to your garden. It also includes a plan for building a bat house.